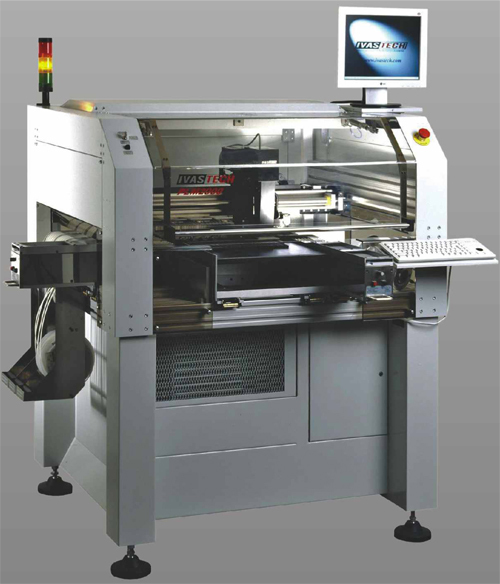 PLM2000 Is the first machine designed to answer the needs of mid-volume productions CEM and OEM. A machine to face their manufacturing requirements for reliable placement, fast changeover, flexibility and minimal maintenance. In PLM200 we use maintenance free linear motors for X and Y movement, delivering outstanding performance. They distinctly boost placement reliability and the machines life. Cutting the maintenance and support expenses. Original red lighting facilitates the camera to recognize Fiducial marks and shapes on materials with a variety of backgrounds. The connection between the machine and PC is controlled via isolated CAN interface also recognized for being highly reliable and very fast. To be able to face the demands of high-mix assembly, PLM2000 can be equipped with 210 positions of 8mm tape feeders. Also it can be equipped with tray feeders and vibe/stick feeder. The feeders are servo motor driven with build-in electrical motors. Depending on the component’s size / weight six different nozzle sizes are available. Additional increase in throughoutput and flexibility can be achieved with the optional modules. In order to ease the production, IVAS Tech offers the following smart features. “Process Statistic Management” – provides the management staff with access to information regarding production run / saturated PCBs, number and description of the assembled components, working and stand by period etc. PLM2000 is the ideal solution for contract manufacturers and OEMs with small to large board sizes and variety of production volumes.